As the majority of people with an interest in the UFO mystery may know, there has been a tremendous increase in reports of triangular and delta-shaped UFOs seen operating in Britain’s airspace. Considering the fact that many reports similar to those referenced above have only surfaced in the last decade of so, a number of commentators have suggested that the Flying Triangles are not the result of intensified alien intrusions in our airspace; rather they are the result of radical developments on the part of British and American defense contractors, and here in the British Isles, are at least partly operated out of the British Aerospace facility at Warton, near Manchester. This theory is entirely reasonable, and respected investigator Tim Matthews has called together a convincing body of evidence in support of just such a scenario. However, there is a problem: sightings of identical craft to those being seen on a large scale today have been reported throughout the country for decades. How can we be certain? Quite simply, whilst conducting a great deal of research into the available RAF and Air Ministry-originated UFO files now declassified and on display at the Public Record Office at Kew, we uncovered a variety of reports suggesting that encounters with the Triangles are far from being a new phenomenon, after all. The earliest report which we were able to uncover dated from September 1952 and concerned the sighting of triangular-shaped UFOs seen during a NATO exercise called ‘Main brace’. Significantly, UFOs were witnessed by military personnel reported throughout Main brace, including a now-famous encounter reported by half a dozen Royal Air Force personnel stationed at RAF Topcliffe in Yorkshire who saw a circular shaped UFO operating near the airfield. Interestingly enough, it was later stated by Edward J. Ruppelt (the one-time head of the U.S. Air Force’s UFO study program, project blue book) that it was the sightings reported throughout main brace which caused the British Government to officially recognize the UFO mystery. And what do the files on Exercise Main brace tell us about the Triangles? And what did the Air Ministry have to say about Arnold’s letter? An internal memorandum generated only days later, reported that Arnold had probably viewed an aircraft flown from the AVRO works at Woodford, near Manchester. The Air Ministry Secretariat which dealt with Arnold’s report was unable to give a conclusive explanation, but suggested that he had viewed a ‘prototype Vulcan’ aircraft undergoing trials. There are two scenarios: either AVRO and British Aerospace have been flying highly advanced triangular shaped aircraft throughout Manchester and the surrounding areas for at least four decades (and if so, why, forty years on, is such technology not in widespread use? 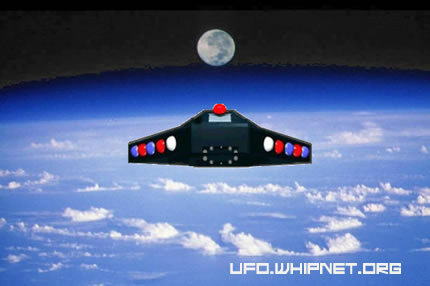 ), or an unknown presence has been operating in our skies and utilizing triangular aero forms for more than four decades. The strange triangle shaped UFOs have been sighted in almost all parts of the world. Last year people in the Himalayas reported these triangular objects coming up from the ground, possibly from underground bases. What are they? These are large, triangular-shaped UFOs, often black in color, with rounded corners generating a low, humming noise, and can disappear in the horizon at unbelievable speeds. These are big crafts and are believed to show up from nowhere and disappear just as fast. The first sighting of these mystery triangles was recorded and reported in 1965. Some say they were first sighted in the 1950s. For some time people have said these are secret military projects – the next generation stealth aircrafts. But why are they flying the same way since the nineteen sixties and why has the technology not changed in last forty years? According to many, these Flying Triangle UFO Mystery objects are the outcome of direct transfer of technologies from extraterrestrials to human civilization in different parts of the world. The triangle shaped UFOs use anti-gravity propulsion, and superconductors to create the electromagnetic flux required for such an endeavor. Some laugh at this theory and say people are seeing illusions. But this doesn’t explain the many reports of people seeing exactly the same things in places thousands of miles apart. The propagation, navigation and feed back controls in these UFOs match the theoretical requirements in a typical advanced extraterrestrial UFO. Such possibilities are very strong, say some UFO researchers. The departments and ministries of defense in all the countries involved are being tight lipped about the situation. They just do not recognize anything anyone has reported to have seen. However, the facts point a finger towards a secret joint development in a collaborative manner with the aliens to develop and improve our planets level of technology. Other theories elaborate on this saying that our governments have created trade agreements with alien races for technology. These trade agreements could be anything from gaining biological information to allowing human abduction.